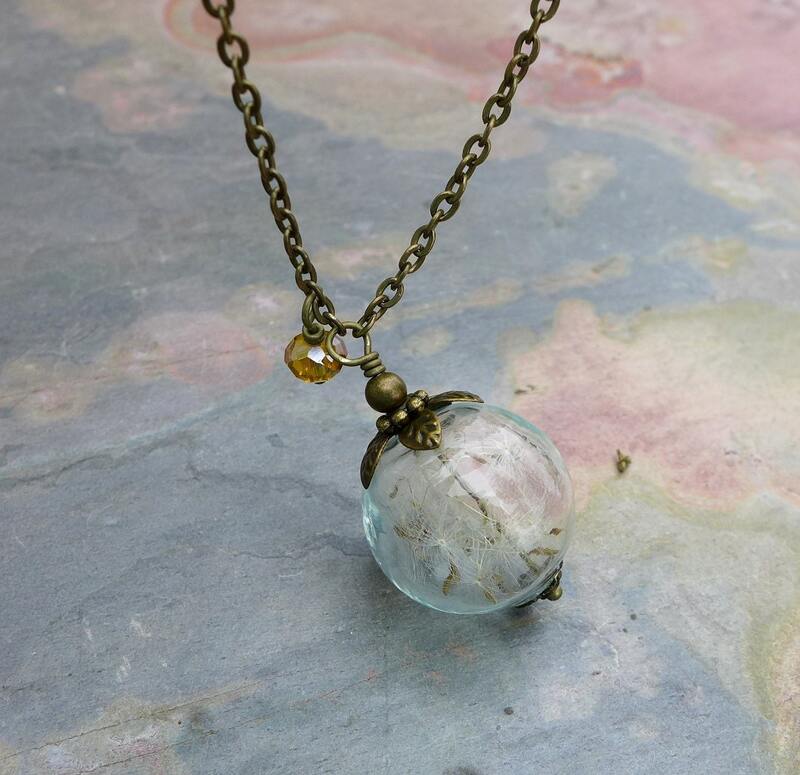 Make a Wish with this unique & beautiful necklace featuring: made with 20 mm hand-blown clear glass orb filled with genuine dandelion flower seeds. Make a wish by blowing the seeds off. 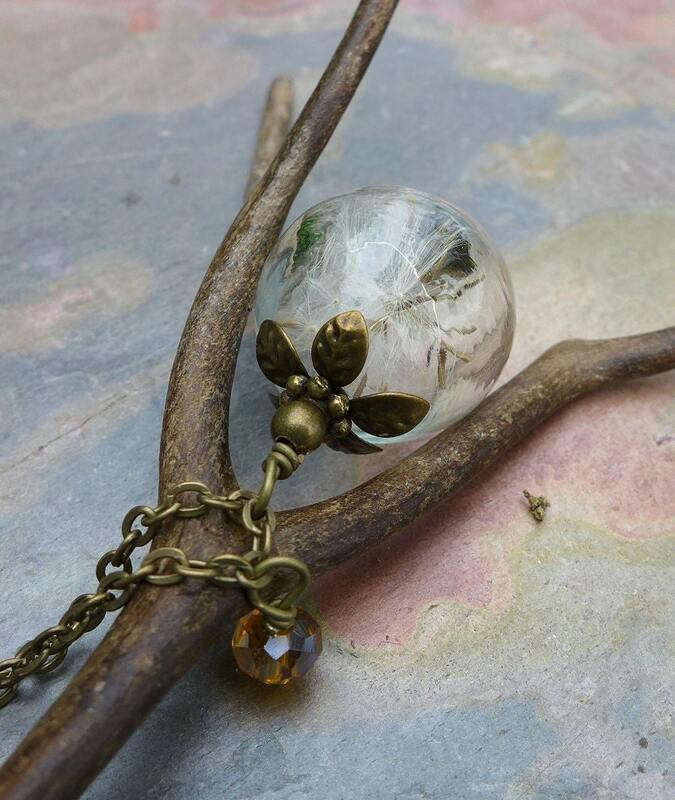 It was said that that blowing the seeds off a dandelion clock while thinking of the one you love will carry your thoughts of love to them.The orb is adorned with 4 x 6 mm Czech Crystals , antiqued brass bead caps. This beautiful pendant hangs down form antiqued brass chain and finished with a antiqued brass chain. Custom Length available upon request. 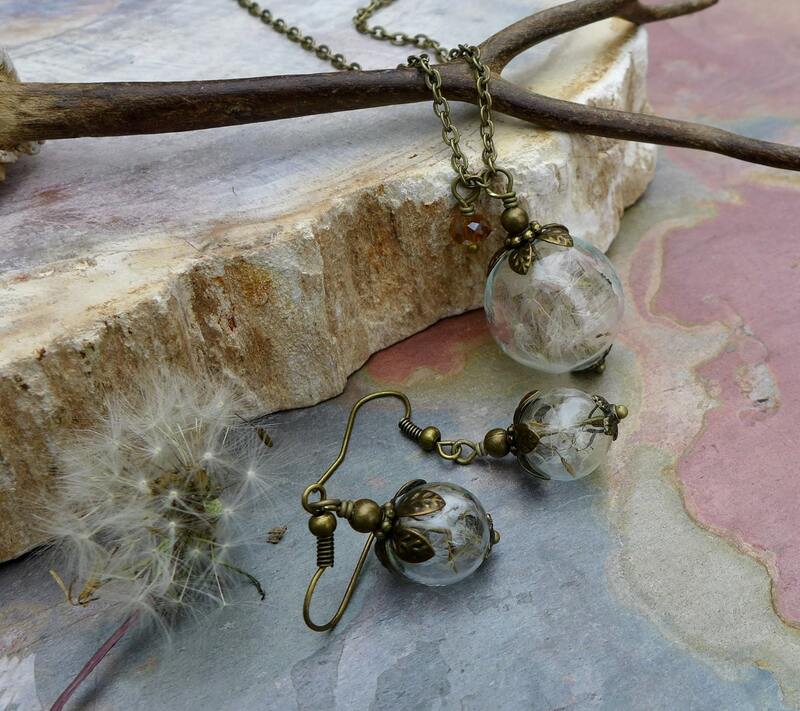 Matching earrings are available: made made with the 14 mm hand-blown clear orb which adorned with brass bead caps. 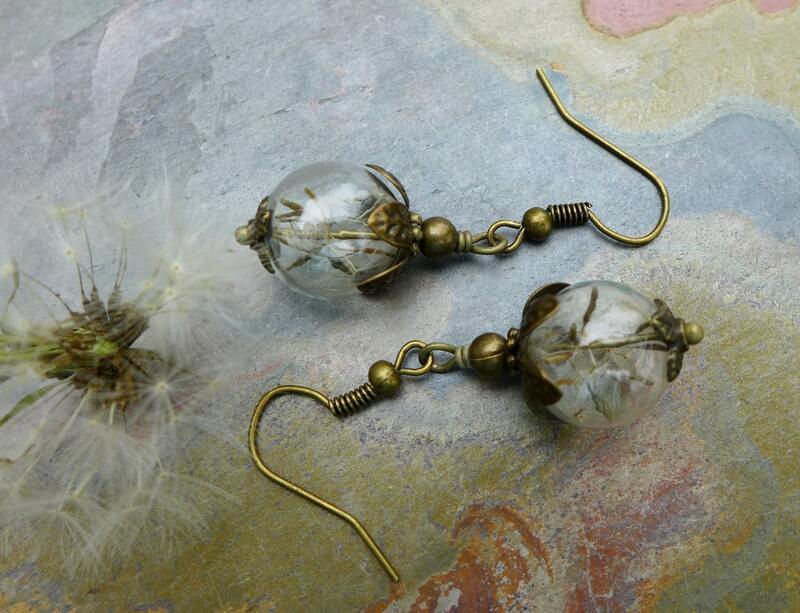 They dangle about 1-1/16 inch from the bottom of the antiqued brass earwires. Beautiful! 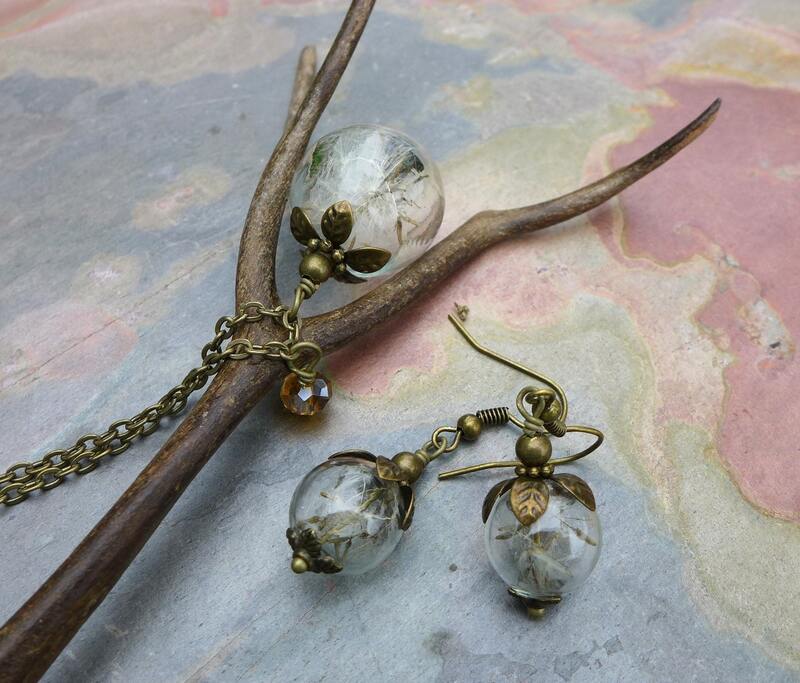 Very well-made jewelry, my wife loves it. Necklace was exactly as described and shipped quickly. It was a mother's day present for my Mom and she loved it! Thank you.